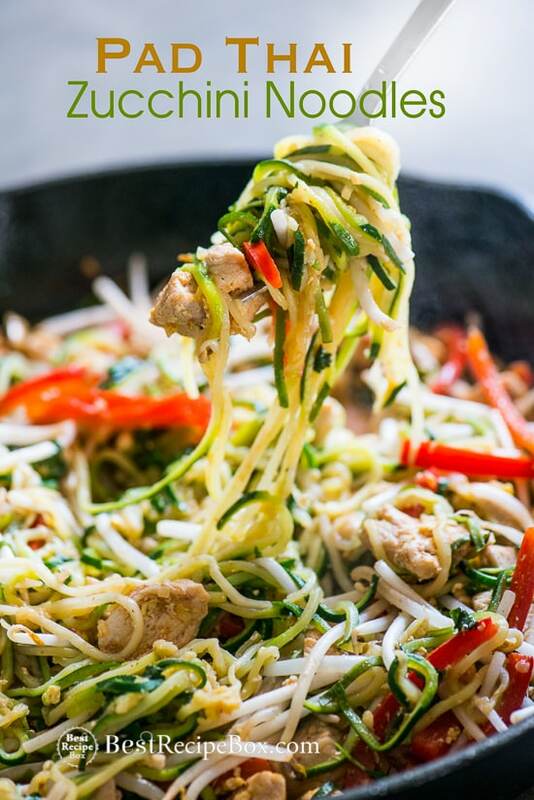 Zucchini noodle chow mein is a great way to eat low carb when you’re craving Chinese chow mein noodles. 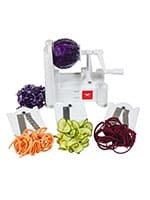 Read all about our favorite zucchini noodle spiralizer tools here. Ditch the take-out when you’re craving chow mien for dinner, especially when you’re looking to eat lighter and low carb. 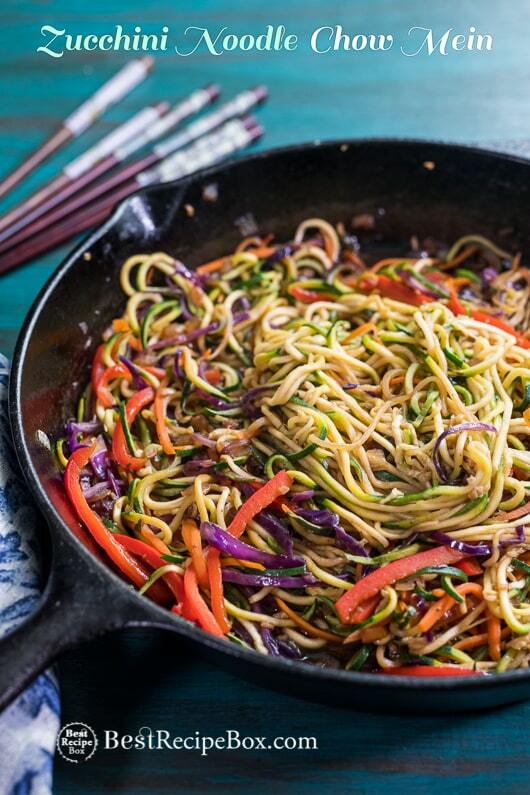 The most easy and delicious answer to these cravings is to make homemade chow mein made with low carb and much healthier zucchini noodles. Zucchini noodle chow mein is a great way to eat healthier when you’re craving Chinese Food. Instead of satisfying that chow mien craving with starchy noodles, zucchini noodles are a great replacement and you can barely tell the difference. What you do experience is a wonderful and flavorful bowl of noodles that are made from strands of spiralized zucchini. 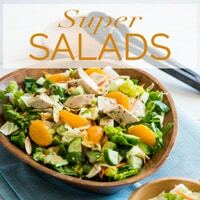 Loaded with flavor and crunchy, colorful veggies, eating lighter and low carb doesn’t get more delicious than this! This zucchini noodle chow mein recipe is so easy to make, you’ll wonder why you didn’t find out about it sooner. 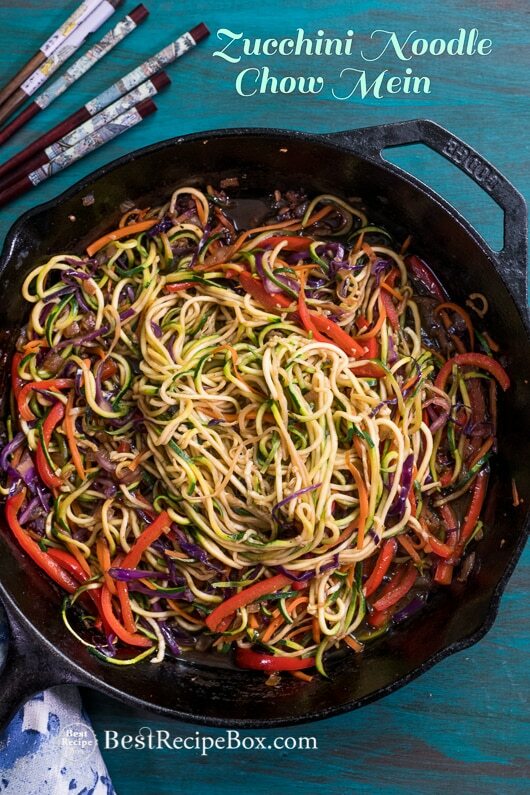 We’re obsessed with zucchini noodle recipes and this version of zucchini noodle chow mien will be on your list as a go-to easy and healthy recipe. 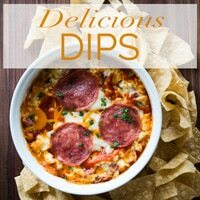 Give it a try and you’ll be pleasantly surprised at how delicious this is! 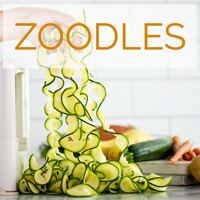 Zucchini noodles are also called Zoodles, so if you’re searching for recipes online just search Zoodle Recipes and you’ll have a whole new world of fun recipes for zucchini noodles to explore and eat! You might not ever return to the starchy egg noodles again! 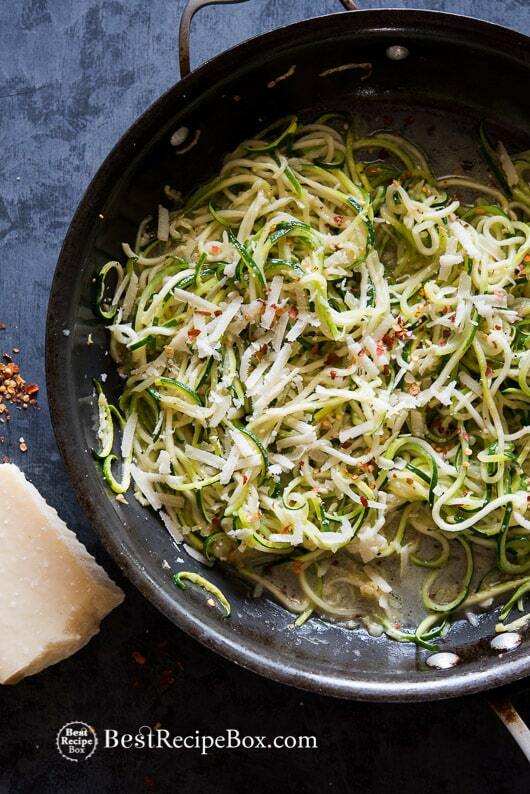 Click here for all our delicious –> Zucchini Noodle Recipes . Paderno Spiralizer – The Classic! We’ve lost track of how many meals this one has made for us. Fantastic spiralizer. 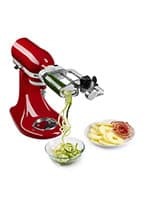 KitchenAid Spiralizer Attachment – Spiralize, peel, core, slice. All from the power of the KitchenAid stand mixer. 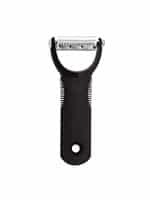 OXO Julienne Peeler – For those who love it simple. This great julienne peeler has seen a lot of mileage in our kitchen. 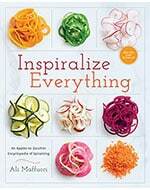 Inspiralize Everything – by Ali Maffucci – a New York Times best seller. The ultimate guide on spiralizing with clean meals that fit into any diet, from paleo to vegan to gluten-free to raw. 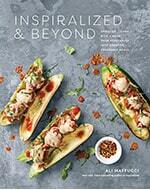 Inspiralized & Beyond – by Ali Maffucci. Continuing Ali’s clever and healthful spiraling, she add a myriad of additional ways to add nutrients to your diet, reach a personal health goal, or just make good-for-you meals at home. 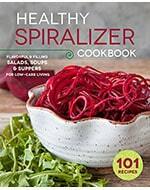 Healthy Spiralizer Cookbook – by Rockridge Press. This trusty spiralizer cookbook will make it easier than ever to prep and enjoy 101 recipes for flavorful and good-for-you meals that are built around veggies. 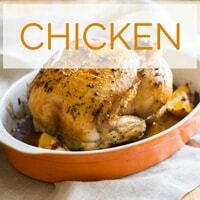 You can add chicken, pork , beef or shrimp. Just cook your protein after you add the onions and garlic. Then continue the recipe. See post for additional recipe details. We used a Spiralizer to create the zucchini noodles. 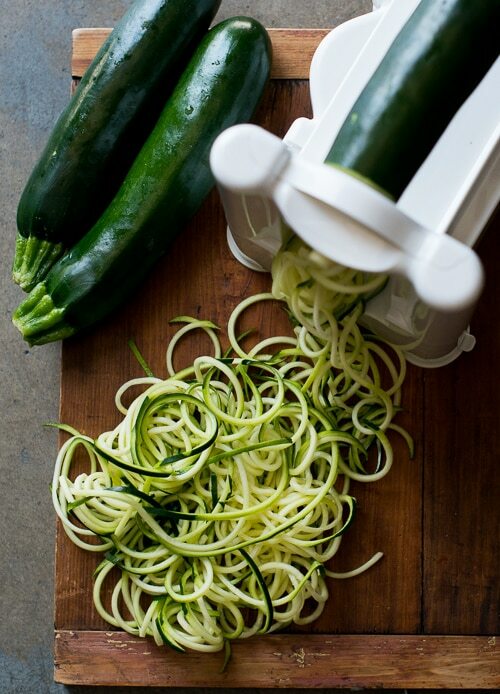 Cut zucchini into noodles with a spiralizer, julienne tool or mandoline. Set aside. Make the sauce: In medium bowl combine soy sauce, vinegar, and oyster sauce (or hoisin). Set aside. Heat olive oil in a large skillet on medium high heat. Add onions and garlic, cook until soft. Add red bell pepper, carrot and red cabbage. Cook until vegetables are tender, about 2 minutes. Add the zucchini noodles and the sauce. 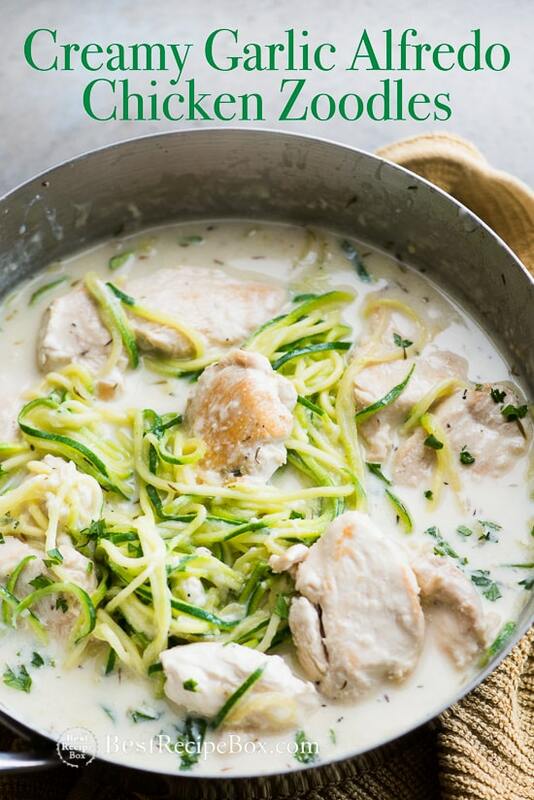 Stir everything in the pan until coated and continue cooking until zucchini noodles are tender, about 2-3 minutes. Garnish with cilantro, serve with hot sauce. 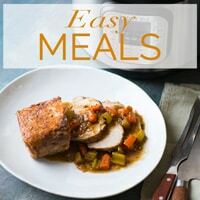 Great recipes I enjoy the meatless ones . Thanks Glenda! 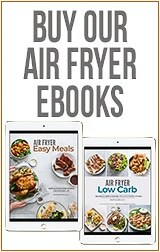 We have lots of vegetarian recipes to enjoy. 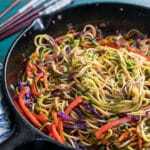 This low carb chow mein recipe is DIVINE! Thanks for suggesting zucchini noodles with chow mein. I wouldn’t have thought of that. Very creative of you guys. I really enjoy your vegetarian recipes! This one in particular is great since I’m able to make my own veggie chow mein without the carbs. That’s awesome that you enjoy our recipe! 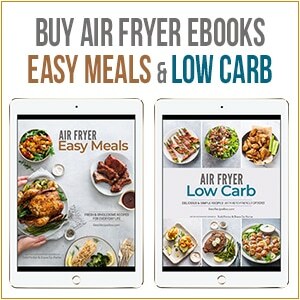 It’s great to eat well without all the carbs.